+ Are you ready to get started with composing? Try this exercise! Create a one-minute solo composition for your instrument. Challenge yourself to write a highly well-crafted miniature work, which means that you’ll want to revise and hone your musical ideas thoughtfully. What are some musical parameters to consider when creating a new piece of music? Visualize and graph the form of the piece; for example, consider an arch shape, a short theme with variations, etc. Improvise on your instrument and record yourself, then listen and find a musical idea you like to expand upon. Imagine a mood or scene or character. Find a poem or piece of visual art that inspires you, create a musical idea to reflect the feeling the poem or art piece invokes. What should my score look like? Hi! I’m Christian Messier, a freshman from Lakeville, Minnesota studying music composition and French. I’m also a tenor in the one of the voice studios. In my first year here, I’ve composed three new works and am in the process of writing a fourth. I had my first Lawrence performance in winter term with my art song “La mort des amants.” One of the neatest aspects about having a piece performed at Lawrence is how many people come to our concerts in support of new music. Having the opportunity to share something as personal as a composition with the people I’ve grown close to during the past months and seeing their reaction has been one of the most rewarding experiences I’ve yet encountered at Lawrence. My name is Stephanie Sundberg, and I’m a senior double degree student studying Linguistics and Music Composition, with a minor in French. I also play trumpet in the Wind Ensemble and participate in an extracurricular a cappella group. While I have absolutely had the chance to “do it all” here at Lawrence, balance has been a very important part of my life. I have stayed active in both the composition and trumpet studio for the past four years. I have had to find a myriad of ways to keep myself organized (binders, day planners, and many, many Post-Its! ), and since my freshman year I’ve had a color-coded Excel spreadsheet with the requirements for my majors. However, the double-degree program has never felt overwhelming to me and I am thrilled to have the chance to fully explore two interests that are both very important to me. Hi! 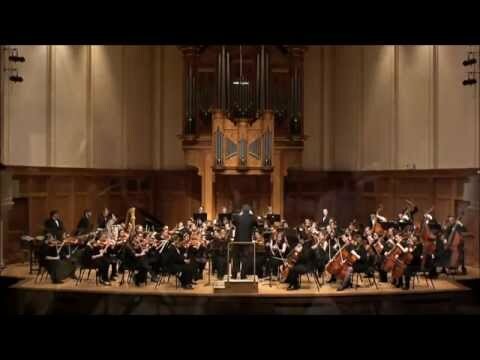 I'm Nic Bizub and the Lawrence Symphony Orchestra played my composition Schism in its January 2015 concert. Schism, like so many of my compositions, addresses an aspect of my own life in a musical catharsis. Lawrence has taught me to trust myself and follow my own voice. In following my own voice, I have tackled many challenges that all musicians face in their studies – technique, craft, musicianship, confidence – all the tools that allow for personal artistry. From my experiences at Lawrence, both musical and personal, I have learned that the process of facing challenges is a lifelong endeavor that can be made beautiful and rewarding by following passion. The performance of Schism is the fruit of such confrontation with challenge, and has served as an invaluable learning experience for me as both a composer and a human. Click here to access recordings through Moodle (login required).